dressed up like a lady: No loitering. 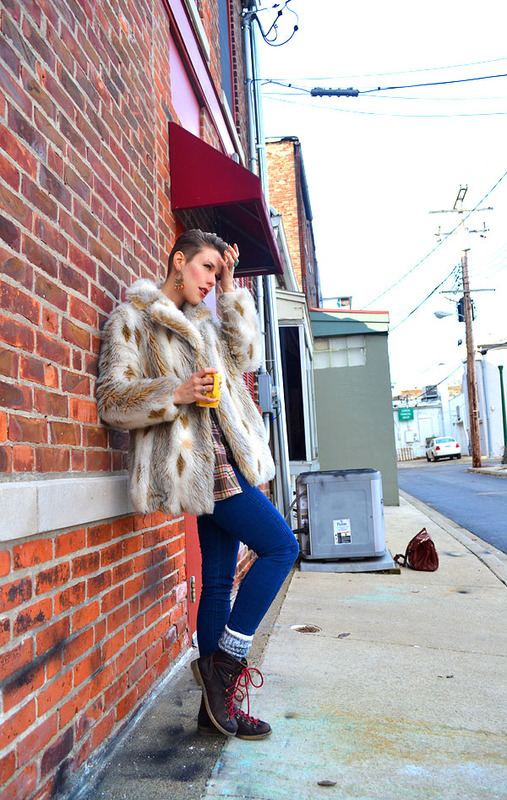 Drinking a coffee from a colorful mug while leaning against a building, especially while wearing a fake fur coat, does give the impression of being a vagrant. I realize that now. You are so beautiful! What about your hair? 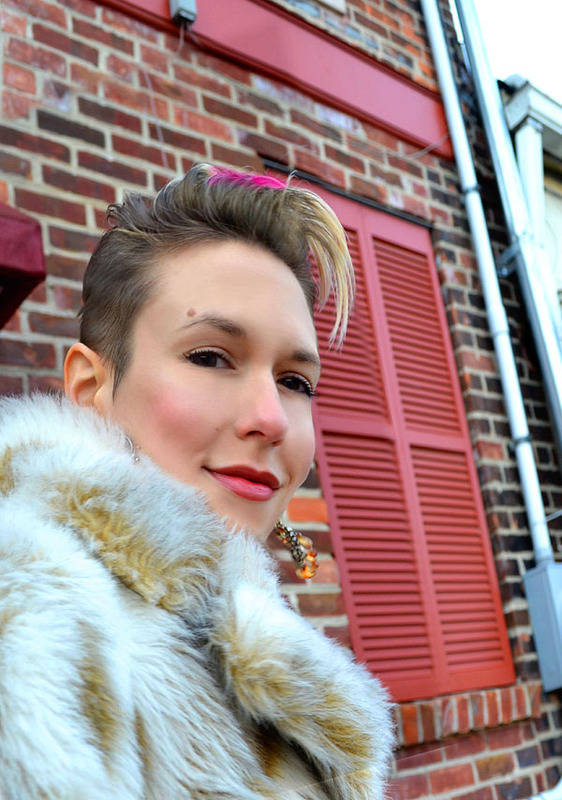 Are trying to get back to your natural color? I really like your growing out hair, it's super cute. I have the purple growing out right now too, can't afford the $100 price tag to redo it just yet.... P.S. I gave you the best blog of 2011 nod on my site. Happy New Year Camilla. So, so hot! I love it all!